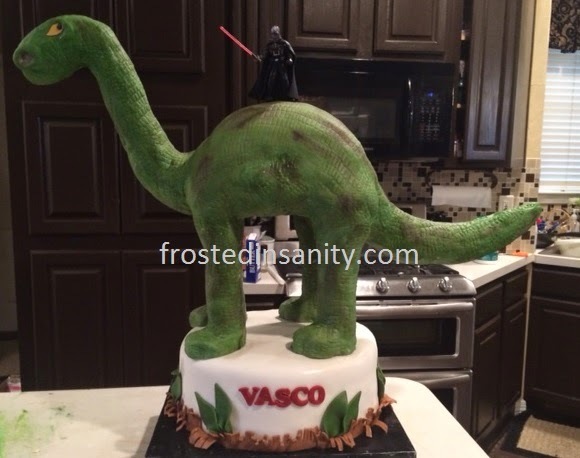 Vasco, who is 5 decided that instead of a dinosaur train cake, he wanted a cake with darth vadar riding on the back of a dinosaur. Why not? when you're 5 you can get away with that sort of crazy request. Happy Birthday Vasco!